Watch these Perfect Point Bullseye Throwing Stars go barreling right into the bull's-eye every time! 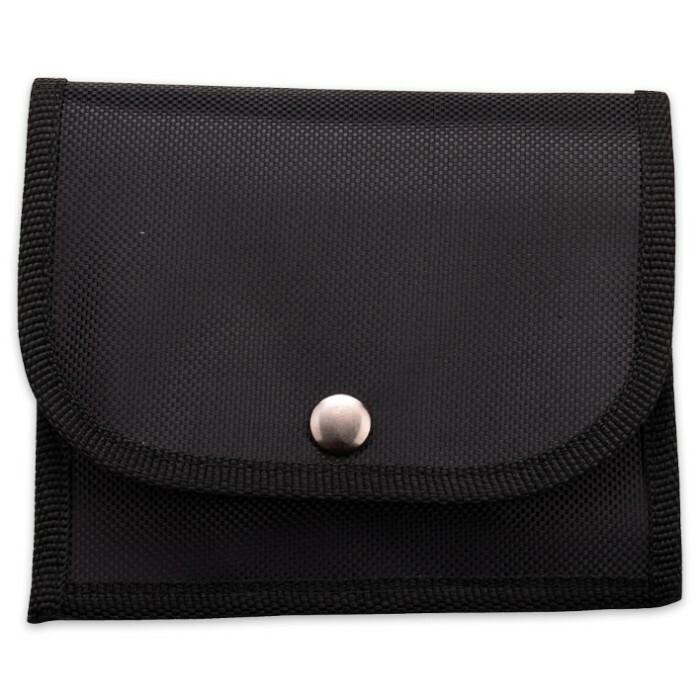 Black sharp stainless steel blades and cord-wrapped handles, for a comfortable throwing grip, are integrated to give you the edge you're looking for. 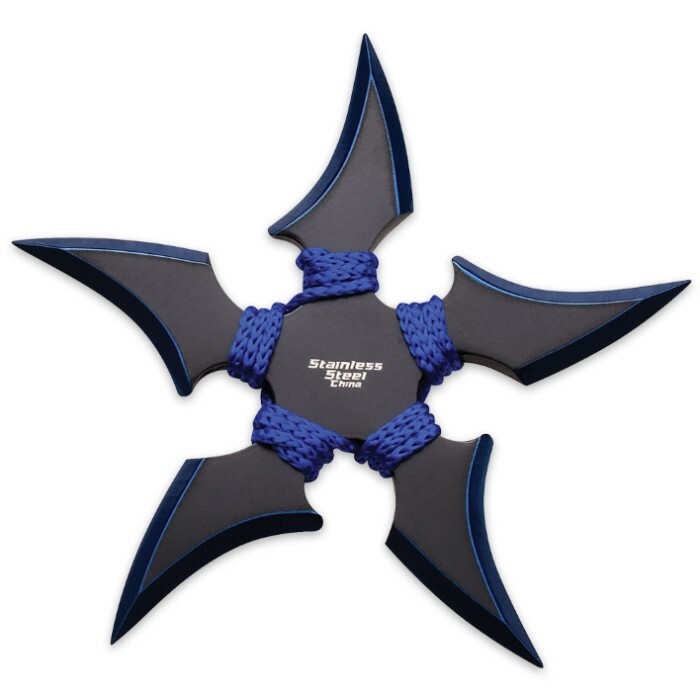 A 1680D nylon sheath is included to house the two throwing stars. 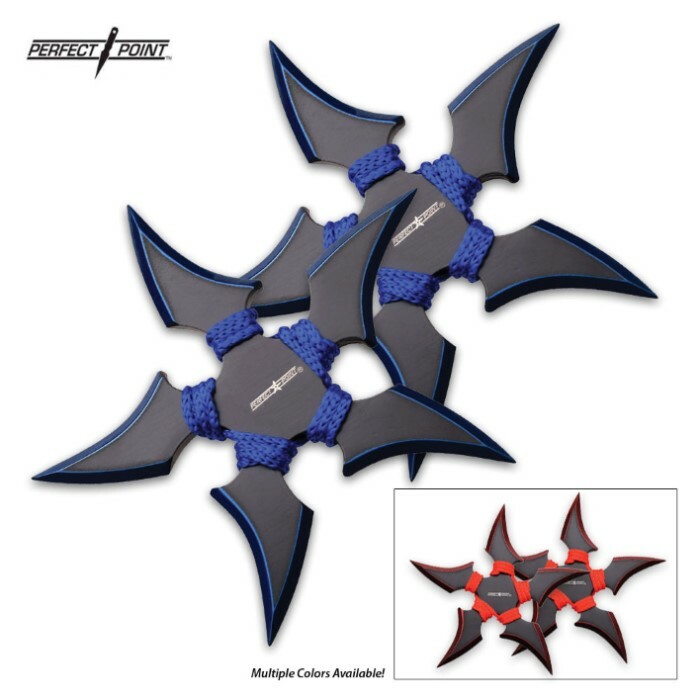 These throwing stars are well balanced for precision and accuracy with every throw. They also come in a choice of blue or red.